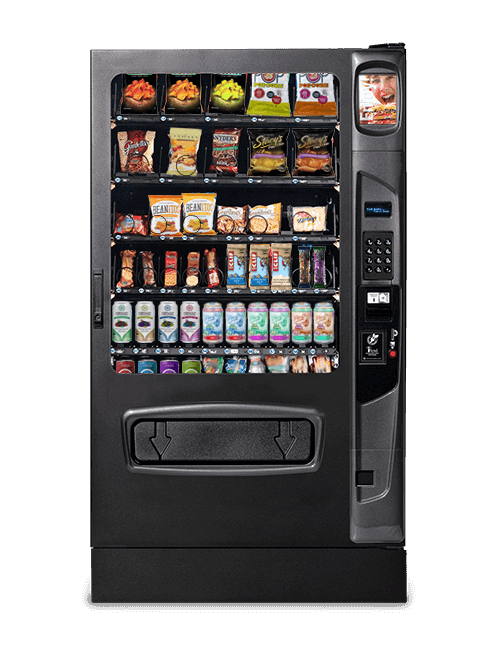 Any of our vending machines can be turned into a healthy vending machine with your choice of healthy foods, snacks and beverages. Any Vencoa Vending machine can be turned into a healthy vending machine, with your choice of products! Consumers are becoming more and more health conscious, and looking to make better choices when it comes to vending machine selections. As an emerging popular market segment, healthy vending machines can be confusing, particularly when there are “healthy vending machine companies” who are grossly overcharging, misrepresenting and limiting the product options available. When making a decision to buy a healthy vending machine, there are two choices. Purchase from a company that markets itself as a healthy vending machine company, who will overcharge you (as much as 300%) simply because they placed a “healthy” sticker on the machine. Some of these companies will even dictate which products you sell in the contract. Choose a vending machine from a longstanding reputable company that sells a selection of proven vending machines, at a far lower cost, with effective and flexible configurations that will allow you to sell the products that are the most popular, including combinations of traditional and healthy products, ensuring consumer satisfaction and providing the highest return for you. Selection of popular models to fit every need, including space-saver models, hot beverage, cold beverage, fresh, refrigerated, frozen, snack and combination models. You are not limited to a specific model. Lowest prices with 0% down, and low interest rates. A 2 year warranty, rather than the 1 year warranty other companies provide on the exact same machine. You choose the products you want to stock, rather than what a vending machine company pushes on you. Keep a healthy vending machine with products that align with your company or consumer culture, including choosing to stock organic, non-GMO or fair-trade items. You choose what works best for you! Because Vencoa healthy vending machines can be stocked with any traditional or healthy products that you choose, you are not locked into long-term product contracts with items that don’t sell or don’t fit your needs. There are companies selling “healthy vending machines” that force you to stock the products that they dictate, at a higher price. When you choose the products, you have the flexibility to change items according to needs, ensuring higher usage and no waste. Make everyone happy! When you choose which products to sell, you can offer a combination of traditional and healthier options, offering the most choice and highest level of consumer satisfaction. Vencoa offers the best prices in the United States, on the most popular healthy vending machine configurations. Call us at 1 (800) 223-4101 or click the button below to find the perfect healthy vending machine for your needs.